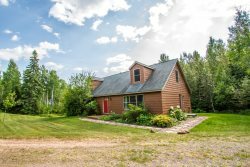 Christine's Hideaway, with access to the BWCA, is a lovely and cozy cabin on Poplar Lake near the Gunflint Trail. Devil Track 215 sits on the shores of Devil Track Lake in the Devil Track Resort Community near Grand Marais, MN. Devil Track 219 is a beautiful, modern home located on the shores of Devil Track Lake. Eagles Nest is an awe inspiring log home in Tofte that will make you feel like you are living on top of the world.